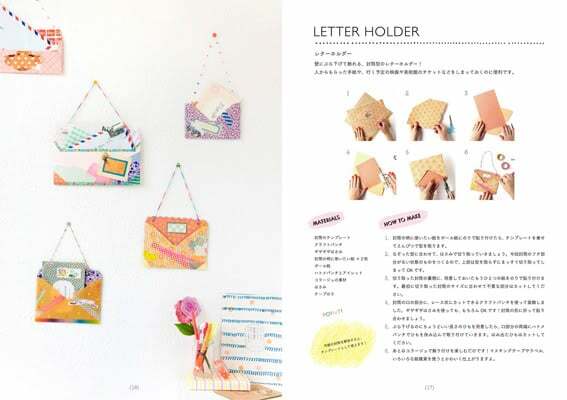 The book is only in Japanese language, but there are many 'how to make' photos for each project so you can also enjoy making these projects! All of the projects in the book can be made within 10minutes - 1 day. It’s not a super complicated craft book that requires years of experience, or reading complicated crocheting patterns. Phew! Mini corsages, lined envelopes, and a cute book cover could all be made in no time at all, whereas you might like to pop on a cup of tea, and turn on some Lullatone when making a decoupage coat rack or sewing a reversible tote bag.